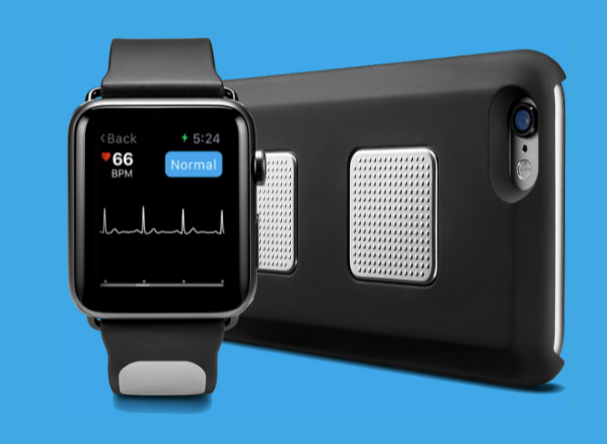 AliveCor, a startup lead by former Google top executive Vic Gundotra, has today announced the first medical-grade EKG band for the Apple Watch: Kardia. While the Apple Watch band will not be available until later this spring, the new Kardia app for the wearable is available today (via Re/code). The new band diversifies AliveCor’s product portfolio: The startup already sells a handful of accessories in its online shop, including cases for iPhone 5/5c/6/6s, but its flagship product is Kardia Mobile, a pair of sensors users can attach to the back of an iPhone or Android phone. 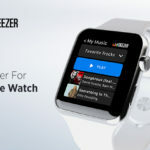 The Kardia Band will have the same functions as the aforementioned Kardia Mobile, except that it will be much smaller, as it will be integrated into the band of the Apple Watch. This time, the heart rate is measured when the thumb is placed on the sensor after invoking the Kardia app. The measurement time is 30 seconds, during which users share the symptoms with their doctor by speaking them aloud as the clock counts down to 30. The Kardia app also connects with the Health app. Kardia Band is still waiting for the green light from the Food and Drug Administration, but AliveCor puts the projected release date in late spring.